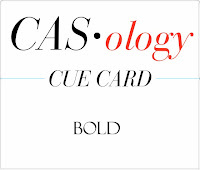 This week's CASology Cue Card is Bold! I used Uniko's All Occasion Sentiments # 2 and #3 and this Pinterest photo to create this card, making sure to leave plenty of white space around my bold focal point. So what's your idea of Bold? Can't wait to see! Check out the blogs of the other DT members to see how they've interpreted this Cue Card! Don't you just love Uniko's All Occasion Sentiments sets?! They are so verstile! You've worked your CAS magic yet again, Ardyth! :) That bold sentiment really pops and, being a sucker for bright rainbow colors, this just makes me grin! 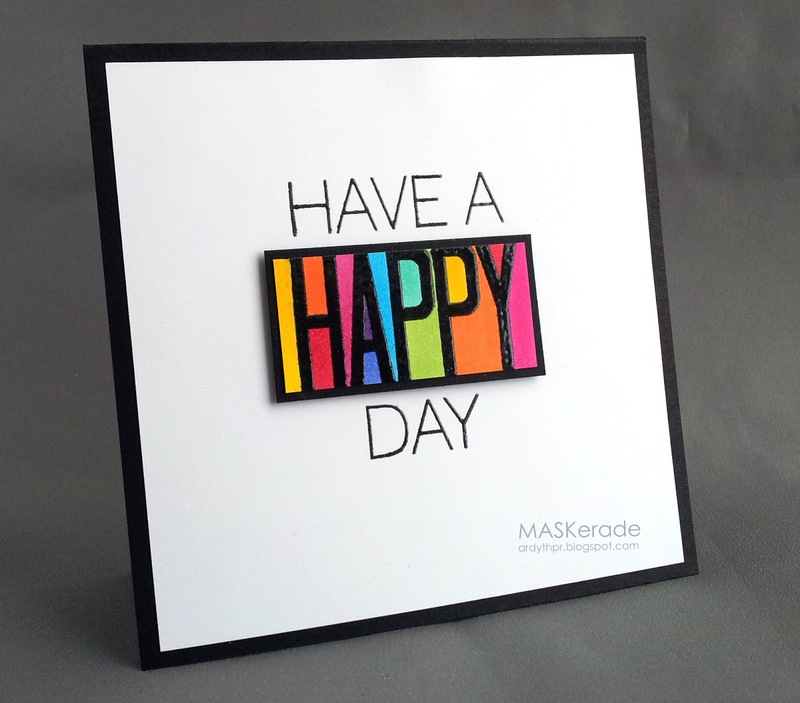 A perfect take on this cue card! You nailed it! Love the bright, bold, rainbow colours! Oh, goodness. Your rainbow around the word is just fabulous. My head is spinning with ways to case you. I guess that means I really really love it. As always, such a fantastic card, Ardyth! Your card's message is a full-on success; seeing this has definitely made my day much, much happier! Bold, bright, beautiful! 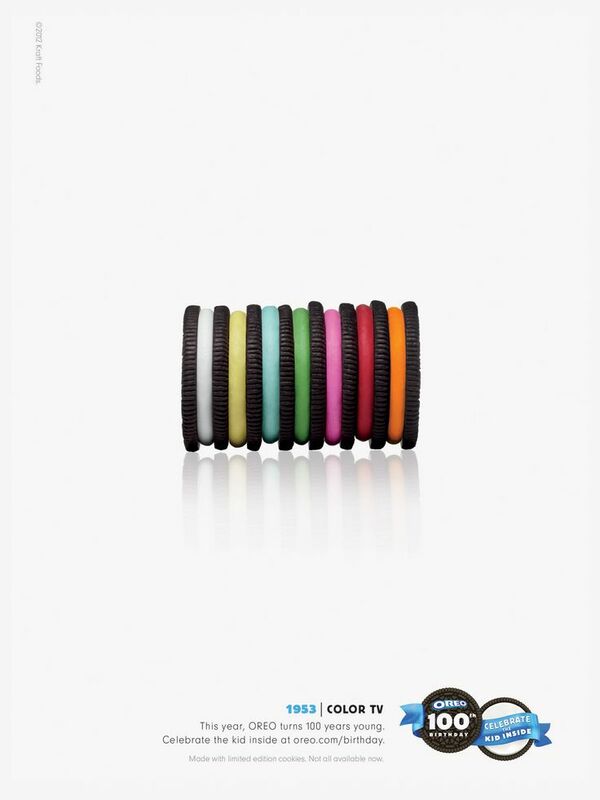 A perfect cue for your wonderful bold and colorful style. Love it. Love how you've done this Ardyth...it almost looks a bit like stained glass to me...gorgeous! I love how seamlessly you translate Pinterest pictures into cards. It always leaves me in awe! When I saw this cue I immediately thought, "Ardyth is going to OWN this one!" And, there it is! Awesome card, Ardyth! Love how you were inspired by the Pinterest picture! It is BOLD -love your PIN. And I did not know about the sentiments...will go check out. And as usual you NAILED the word! Love the colorful,[perfectly center] happy! You really know how to pack a punch when it comes to bold, Ardyth! What a fun way to use your Pin, too! I LOVE this card!!! Ardyth your style is so uniquely your's I'm sure I could pick your card out of a bunch. So bright and colorfully BOLD. This is the perfect challenge for you Ardyth...bold and beautiful! Love this Ardyth, really a beautiful art piece, frame worthy for sure! Have a wonderful day! This is absolutely fantastic ~ love this take on bold! Ahhh, this is soooo bold and beautiful! Love your intense colors in the confined space. Wonderful design, Ardyth!